The Brian Chapman Scholarship supports a delegate from a DfiD priority country to attend the annual Edinburgh International Course in Medicine of the Older Adult. The world’s population is ageing with developing countries experiencing the most rapid increase in the number of older people. With this comes the challenge of managing associated chronic disease and morbidity. Many developing countries are ill-prepared for the predicted burden, not only due to scarce medical resources, but also because of a lack of health workers trained and skilled in the management of older patients. The College is committed to helping to raise standards of healthcare globally. The International Course in Medicine of the Older Adult represents an opportunity for physicians from countries with limited old-age services not only to benefit from the educational programme, but also to network with colleagues from countries with greater experience of elderly medicine. The scholarship is named in memory of the late Dr Brian Chapman, a distinguished Geriatrician in Edinburgh who made significant contributions to the International Course and to the work of the College during his career. Must be able to describe how attendance at this course will contribute to the development of medicine of the elderly within their own clinical service and/or country. Applications for the 2019 Brian Chapman Scholarship are now closed. "Dr. Ramesh Kandel is the first registered geriatrician in Nepal. He is also the founder of Nepal Association of Geriatrics and Gerontology. 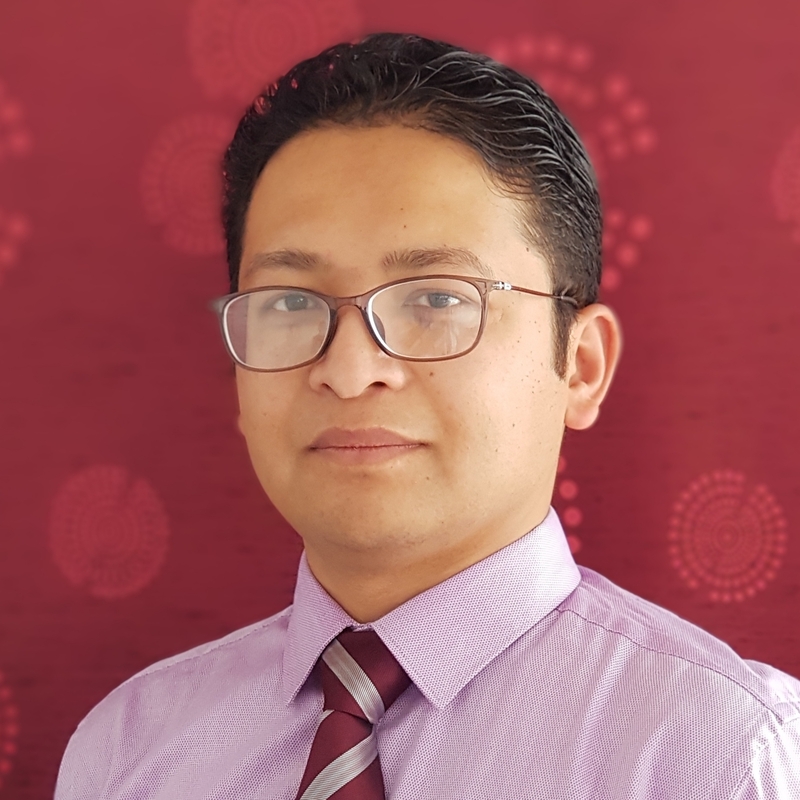 He is also the founder and head of the Division of Geriatric Medicine at Patan Academy of Health Sciences, Lalitpur, Kathmandu valley, Nepal. He completed his post-graduation in Geriatric Medicine from the prestigious All India Institute of Medical Sciences (AIIMS, New-Delhi, India) in the year 2015. After that, he came back to Nepal and has been working in the field of Geriatric Medicine with great zeal and enthusiasm. 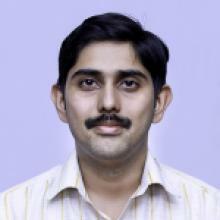 He is a young energetic person with innovative ideas for the care of Geriatric patients. He had worked quite undaunted in founding the division of Geriatric Medicine in the Department of Medicine, where he now coordinates as well as provides clinical care to the patients. 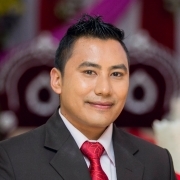 He is involved in various government committees for framing of policies related to geriatric health care in Nepal. 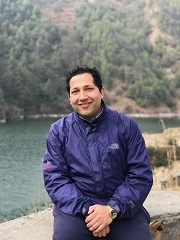 He also has been involved in different training programs for integrating Geriatric Medicine in various health care settings in the post-earth quake scenario of Nepal. He is also co-coordinating with different NGOs and INGOs currently and running programs for increasing awareness among the public in various issues related to Geriatrics." "I obtained my medical degree from the University of Medicine, Mandalay, Myanmar (2001-2007). I started my first job as a medical officer at a private hospital. I liked doing ward rounds and talked to patients because I knew it is through good communication that patient care can be best delivered. I enjoyed working in clinical environment until I was offered a very exciting public health job opportunity from the Population Services International (Yangon) as the Malaria Program Manager and this was my job description: “Malaria manager will be the focal person for Bill and Melinda Gates Foundation Malaria control program. 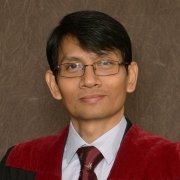 He will foresee, manage and deliver the malaria control program and prevent the emergence and spread of artemisinin resistant Plasmodium Falciparum malaria in Greater Mekong Sub-region and subsequently in Africa by working with GPs and private sectors”. I was with PSI (Yangon) in 2010 to 2013. I worked toward the development and launching of the National Malaria Control Communication Campaign; Social Marketing Campaign for “SupaNet” (long lasting insecticide treated nets) and 4 kinds of “Supa Arte” (Artemether-Lumefantrine 3 days treatment kit) in Myanmar. Subsequently I was awarded the prestigious New Zealand Asean Scholarship to study Master of Public Health by research at the University of Auckland in 2013-2015. My research found that the cancer services in primary care have an important association with cancer survival rates. The differences in primary care services for suspected cancers are linked with disparities in cancer survival rates in International Cancer Benchmarking Partnership (ICBP) countries. I presented the study in World Cancer Congress in Melbourne in 2014 and published an article in the European Journal of Cancer. From 2016 I resumed full time general practice in Mandalay focused in Family Medicine. I have been awarded the specialist Diploma in Family Medicine in 2018. Currently I am working on the graduate Diploma in Child Health (University of Sydney) and the membership exam of the Royal College of General Practitioners, UK." "I was born and brought up in Kerala, the southernmost state of India. I completed my MBBS from Government Medical College, Thiruvananthapuram, in 2010 and MD in Community Medicine from Christian Medical College, Vellore, in 2014. I joined as an Assistant Professor at Malankara Orthodox Syrian Church Medical College in 2014, and have been working in community-based geriatric care in the service area of the medical college since then. The Brian Chapman Scholarship enabled me to attend the International Course in Medicine of the Older Adult in Edinburgh. It was a wonderful experience in many ways – the formal learning during the course hours, informal learning beyond course hours, the tour of the college, the medical history tour, the blessed land of Edinburgh and the friendly people there. Experts in various specialties pertaining to the care of older persons took the sessions. There were course participants from different specialties across the globe and many of them were experienced geriatricians too. The course participants were a good resource for informal learning. I could understand the healthcare scenario of older persons in different countries from them. The tour of the college on the first evening, especially through the libraries, was a good experience. The libraries of RCPE have a great treasure of books and manuscripts that are milestones in medical history. The stories of struggle, commitment and vision of the giants of modern medicine were inspiring. The medical history tour on the second evening was very interesting. I could see the places where many pioneers lived, like Sir Joseph Lister and Sir James Young Simpson, and could see places where anecdotal incidents mentioned in medical history took place. The course organisers took care of even the seemingly trivial needs and provided a comfortable accommodation. The day light hours were from 5:30 am to 10:30 pm. There was ample time to enjoy sightseeing. The weather was lovely and the people were friendly. The department of Community Medicine of MOSC medical college where I am working currently is very keen on developing a community-based healthcare model for older persons. The knowledge and insights gained from the course will help me to take this vision forward. Thank you RCPE." "I am from India. I completed my primary medical qualification, MBBS from Amrita Institute of Medical Sciences, Kerala, in 2013 and then went on to do my masters in family medicine at St Philomena's Hospital, Bangalore. My masters thesis was on "Anemia in geriatric population". Right from the early stages of my medical training, I have been interested in care of the elderly. Currently, I am working in the preventive health department at Aster CMI Hospital, Bangalore, where I come across a significant number of elderly people in my daily practice. I am excited to be a part of this course. This will help me in improving my knowledge and skills in treating the elderly. I was privileged to be one of the recipients of the prestigious Brian Chapman Scholarship for the year 2018, which gave me the opportunity to attend the Edinburgh International Course in Medicine of the Older Adult. The course was very interesting and all the sessions were very well presented. The topics discussed ranged from neurological conditions and common chronic diseases to anticipatory care and management of patients at home. It was truly an eye-opening experience that helped me gain valuable knowledge in treating older persons. I also got to meet other healthcare professionals from all over the world who shared their experiences in geriatric medicine. From the pick-up at the airport and the beautiful College accommodation to the social programme, including the medical history tour and course dinner, and of course every day of the course was very well arranged. I am very grateful to the Royal College of Physicians of Edinburgh for such a wonderful experience." "I was born in Nepal in December 1983. Having completed my schooling at a local high school in my home town, I moved to Kathmandu for higher education. I received my MBBS degree from Kathmandu University, Nepal in 2009. I completed my residency training in Internal Medicine at Dhulikhel Hospital, Kathmandu University Hospital in 2015 and MRCP(UK) a year thereafter. In 2015, I joined the Department of Internal Medicine at Kathmandu University Hospital as a Lecturer, and I continue this service to date. My current interests include respiratory medicine, care of the elderly, medical education and clinical medicine. I am a Member of the Asia Pacific Travel Health Society (APTHS), American College of Cardiology (ACC), and USA and American Academy of Hospice and Palliative Medicine (AAHP). I am a Life Member of Nepal Medical Association (NMA) and the Society of Internal Medicine of Nepal (SIMON). I am associated with local non-profit organisations such as Richa Bajimaya Memorial Foundation and Vishram, and I am actively involved in conducting educational programs related to preventive medicine. I am very passionate about teaching clinical and communication skills, and conducting bedside medicine classes regarding patient care and management, both for undergraduate and postgraduate medical students. My other activities comprise preparing various academic schedules, peer tutoring and organising various seminars in the Internal Medicine Department at Kathmandu University Hospital. Attending the Edinburgh International Course in Medicine of the Older Adult 2018 was professionally a very rewarding experience. In addition to socialising with colleagues from other countries and a trip to one of the historic and most beautiful cities in the world, the two main achievements of attendance at the course were to hear presentations and to know about the different healthcare systems from around 20 nations. The topics presented were high quality, with topics such as de-prescribing and frailty being something that are not commonly heard of. Listening to presentations informed me of what others are doing and exposed me to a different style of presentation. Hallway conversations and chat during the lunch with healthcare professionals who work in the myriad of healthcare systems around the globe were even more fruitful. The talks, the venue, the accommodation and, most importantly, the hospitality of every single person that I met in the college was something worth mentioning. In a nutshell, right from the pick up at the airport till the day of my departure at the train station is something I value and treasure. Not to mention, the academic training and the pragmatic skills I learnt during the course, will soon be implemented in my practice as well. 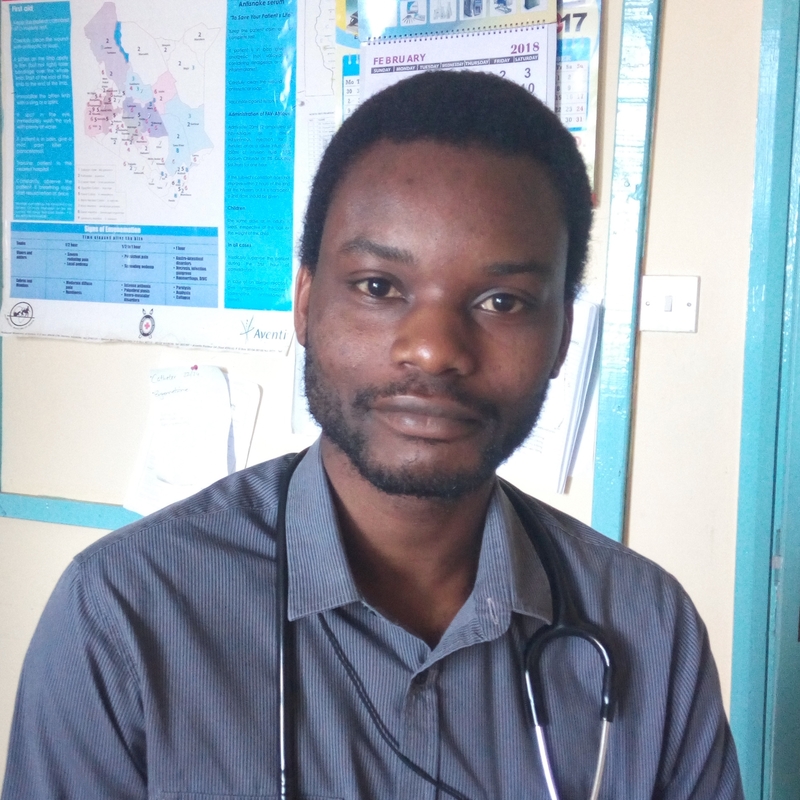 "I am a specialist physician at Fountain Health Care Hospital and the Baringo County Referral Hospital, both in the North Rift region of Kenya. I am trained in both Internal Medicine and Infectious Diseases. In both hospitals, I am heavily involved in clinical management of patients admitted to the Internal Medicine units, teaching junior doctors, and coordinating research activities within the department. My main clinical interests are in management of co-morbidities among the elderly, as well as management of infections in the elderly. I want to send my deep appreciation to the team at the College for all the logistical assistance offered via regular email correspondences, the reception at the airport, the lovely accommodation at the College suites, the course dinner, and the warm smiles and hospitality from the College staff. Receiving the Brian Chapman medal was one of the most eye-watering moments of my life, and I thus want to thank Dr Dorothy Chapman and the award selection committee for having given me the opportunity to attend this prestigious course and network with other geriatricians from around the world, as well as make new friends. The structure of the course, based on the five geriatric giants, for someone like myself not formally trained in geriatric medicine, was easy to follow and I was able to pick certain salient points that I could improve on in my clinical care to older patients. The conditions I meet in my day-to-day clinical practice are the same that were being highlighted during the course, but I realised that my approach to management of these conditions was not as holistic as would have been expected. This definitely proved to be an ‘a-ha’ moment for me, not in a bid to change the world, but to improve on my clinical approaches in a stepwise manner, and to share the knowledge and skills with members of my clinical teams to improve clinical care given to older patients. The knowledge gained during this course has greatly supplemented my core postgraduate knowledge in Internal Medicine and Infectious Diseases, and has stirred up my appetite for reading a bit more in-depth on Geriatric Medicine to improve my clinical approach to older patients. The free afternoons to take in the beautiful Edinburgh weather and environment were great refreshing moments to reflect on the morning lectures, though my biggest highlight was the medical tour, which made me internalise several chapters of medical history in two hours that would have taken me years to read. Thank you so much to the RCPE for having availed me of this opportunity." "It has been my great pleasure to attend such a kind of world-class conference; 2017 Edinburgh International Course in Medicine of the Older Adult, held at the Royal College of Physicians of Edinburgh during 22 May to 26 May. I am also very much delighted to be one of the winners of the very prestigious Brian Chapman Scholarship for the year 2017. The course is very interesting and all the speakers are excellent. The carefully selected topics are very up to date and invaluable for the comprehensive management of geriatric patients. After attending the course, I gained a lot of knowledge regarding management of the frail patient with cardiovascular diseases, care of the frail patient in the acute hospital, interpretation of funny blood results in the frail patient, hospital at home program and delivering health care services in care homes as well. I also had a chance to meet and discuss with the other health care professionals all over the world who are interested in geriatric medicine. The social programme including the Medical History Tour of Edinburgh was very wonderful and I enjoyed it a lot. We also had a great course dinner at one of the best restaurants in Edinburgh; good food, nice chats and so it will last forever in our memory. The credit should go to the course organizing committee and Royal College of Physicians of Edinburgh as well. Unforgettable international course indeed!." "I am currently a trainee in Internal Medicine in Nepal, a beautiful country in South Asia. The elderly problems in Nepal are apparently neglected. An increase in the size of the geriatric age group and related problems, few professionals trained in geriatric medicine and very little knowledge and services for the care of this age group have led to serious challenges for the new generation of physicians. I had been provided the “Brian Chapman Scholarship” to attend the prestigious course in historic Royal College of Physicians of Edinburgh this May. I would like to thank the college and Dr Dorothy Chapman for providing me this scholarship. Right from the pick up from the airport to the last session of the course, the organizers left no stone unturned to make my stay in Edinburgh a comfortable and memorable one. The accommodation in the college was excellent. All the topics of the five-day course were up to date, informative, interactive and delivered by world class speakers. The topics discussed were very practical and related to the problems we face in daily clinical practice. I met delegates from all around the world, especially from Australia, Sweden, UK and Canada. We had very good interactions during the lectures and during the lunch and tea breaks, sharing our experiences and problems. A medical history tour led by Dr Smith and a course dinner with the delegates and speakers covered the social aspect of the course which will stay in the memory for long. This course is not just for geriatricians. The topics and discussions were very useful to internists and General Practitioners as well and I highly recommend this to everyone. Overall, this has been an excellent course and I took back home a lot of knowledge about the care and treatment of the older adult as well as wonderful memories of my dream visit to the historic city of Edinburgh." "I’m currently working as a senior registrar in general internal medicine at Harare central hospital in Zimbabwe. We have an increasing number of elderly patients coming into our hospitals every day and face challenges in terms of managing this important group of patients, especially the frail elderly. I am really grateful to the College having helped me to attend such an important course. I really enjoyed this very informative and educative course and would recommend it to anyone looking to add to their knowledge in the field of medicine of the elderly. The programme was awesome, with excellent, world class speakers who did not disappoint. I had an opportunity to meet with the great speakers who are experts in their fields and also to meet with doctors from across the globe. I’ve made friends with doctors from Australia, Denmark, Finland, Iceland, Canada, New Zealand and Saudi Arabia, just to mention a few. I also had the opportunity to stay at the beautiful College accommodation which I will recommend to anyone visiting Edinburgh. I do feel I've really benefited a lot from attending this course having come from a background where I had not received any training in medicine of the older adult. I can now confidently manage my patients using the cutting edge information provided during the well-planned course. "Thanks to the College once again for organizing such a powerful course and also to Dr Dorothy Chapman for presenting me with the Brian Chapman award." "I am a physician from Uganda where geriatric medicine is not developed both in the medical schools’ curricula and hospitals. We have no geriatricians in Uganda and most African countries, thus the older adults’ care is compromised. "First of all, I would like to thank Brian Chapman Scholarship for giving me this great opportunity to attend the International course of medicine of the elderly. I would not have made it to Edinburgh without this generous support. I thank the course organisers for the prompt communication and excellent organisation. I had a very warm welcome right from the airport to the college and throughout my entire stay in Edinburgh. Thank you very much to the Royal College of Physicians of Edinburgh team. "I was impressed by the interesting well-structured lectures and the practical sessions managed by experienced doctors. Each day had its own experience; I was also given an opportunity to make a case presentation from a resource-limited nation. This gave me an opportunity to meet and learn from other delegates whose medicine of the elderly is developed. The course covered all the geriatric syndromes or giants which mainly affect the older adults. This was a preamble to me of what I am most likely going to study as part of my future career development."